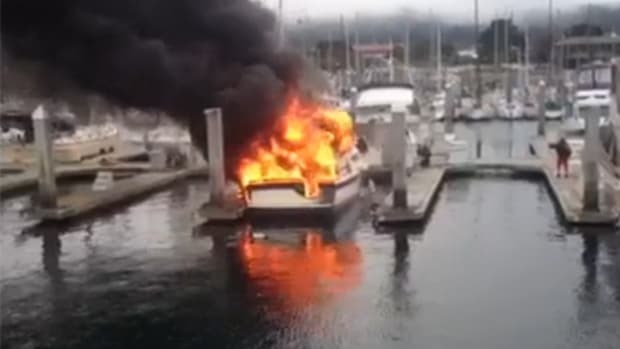 An 85-foot luxury yacht was destroyed after it caught fire Wednesday while docked at the Roche Harbor Resort in San Juan Island. 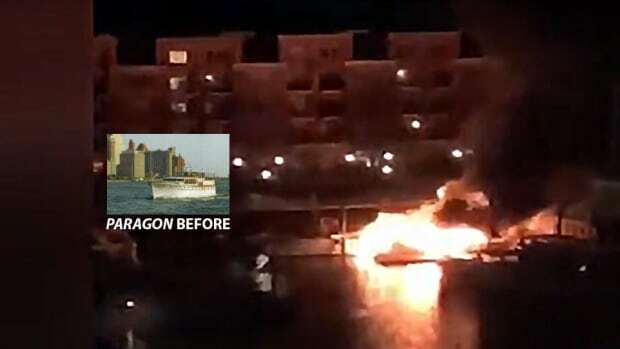 The Coast Guard said no one was injured. 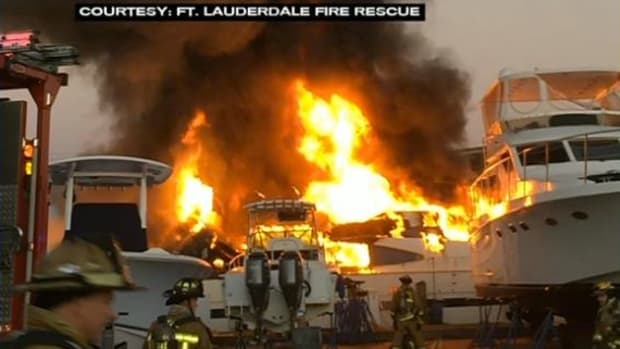 The boat, an Ocean Alexander, was one of the several boats for sale at the marina, and was listed for values of up to $8 million dollars. 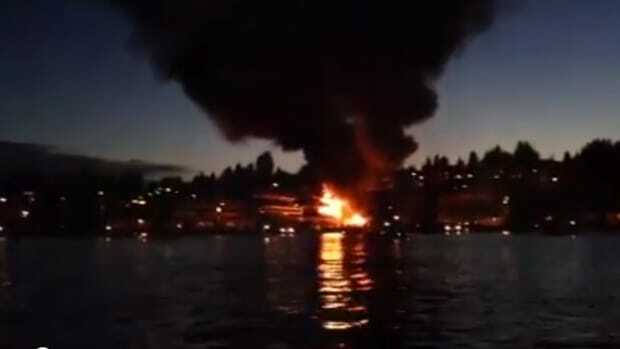 Kirotv reported that firefighters responded to the fire at about 10 a.m. Komonews reported that responders were able to move other boats away from the fire, and damage was confined to the yacht. 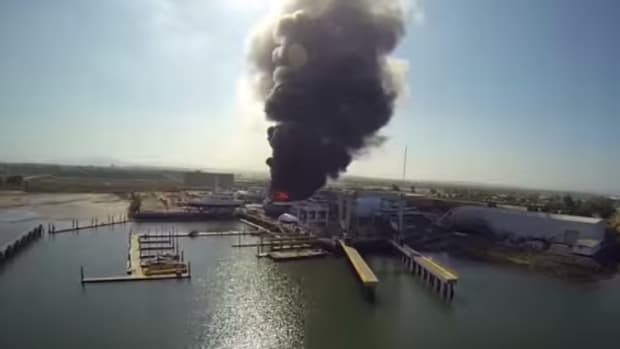 Officials say that the fire was started by an electrical problem. 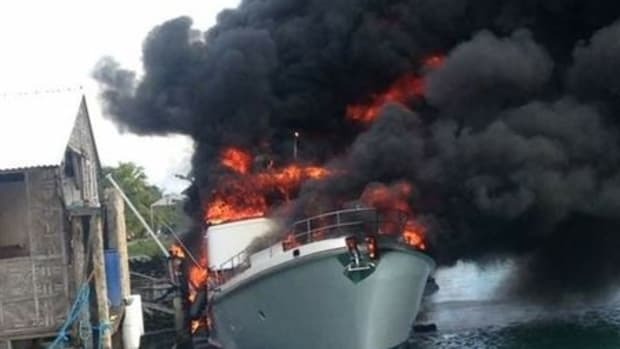 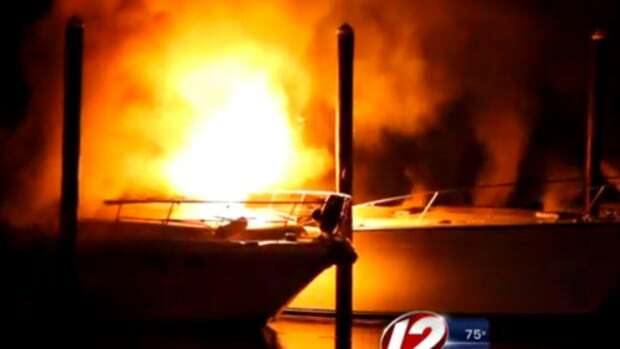 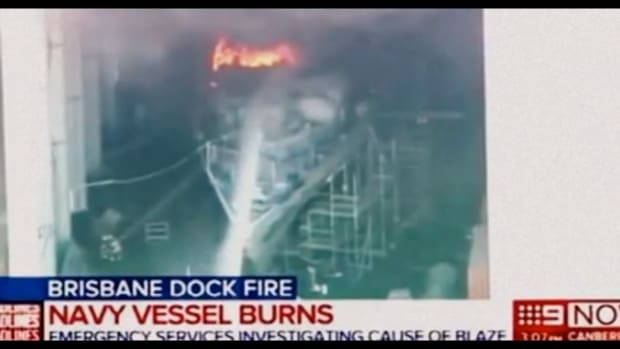 Video of the yacht shows the deck of the boat engulfed in flames, with smoke obscuring much of the view as the boat sank into the water. 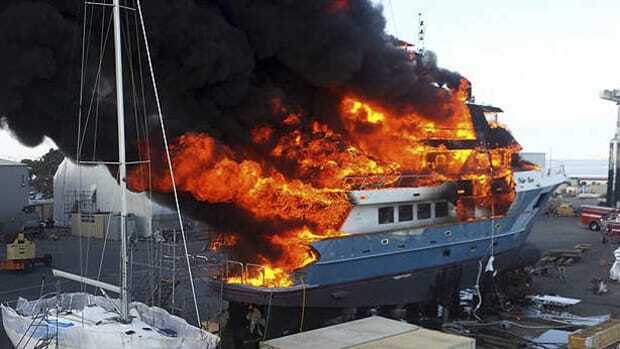 Visit this website to see boat’s sales listing. 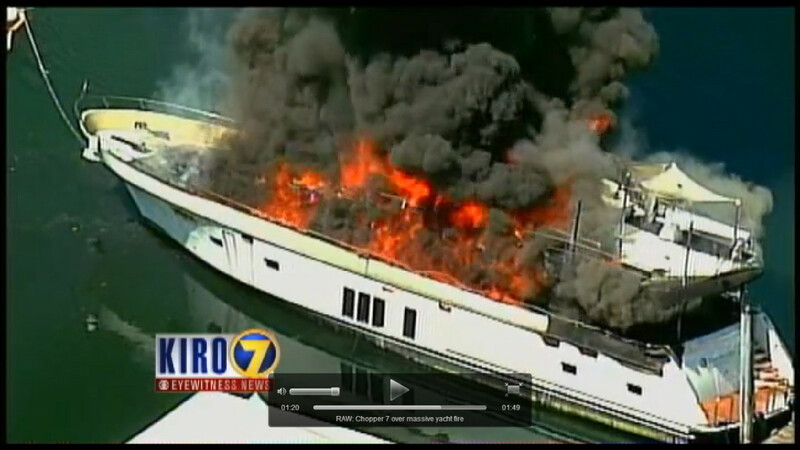 The Roche Harbor Resort’s services were closed Wednesday due to the smoke and the fire.